- How to use a Thread Pool class in C#.Net? Recently when I deploy a web site and try to run the site, I got the above error. 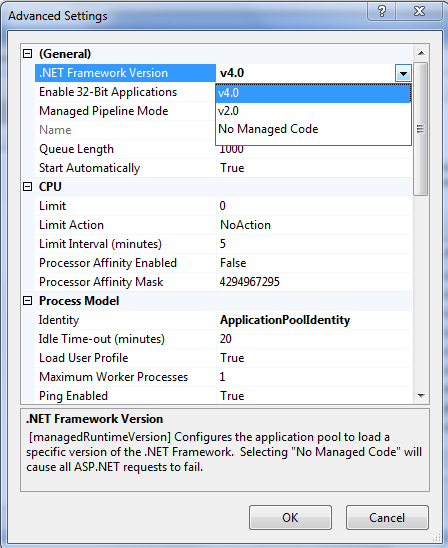 Then I changed the .Net Framework Version to v4.0 and it solve the problem.